A private Kenyan Doctor who is also a medical researcher has revealed how you can easily get infected with HIV during your usual visit to a barber. Dr. Kizito Lubano shared his findings on how poor sterilization can lead to series of infections from one person to another via the shaving equipments. He explained that for a proper sterilization process to happen, the equipments have to be dipped in pure methylated spirit for a period of time before being re used contrary to what many barbers usually do by sprinkling a few drops on the shaving equipment then reusing them immediately. “If your barber has only one shaving machine which he is going to shove through your scalp two minutes after finishing up with a different client then you might as well take off before it is too late,” Dr. Kizito speaking to The Standard. Apart from just HIV, there are other STDs that one can get during the process, he also mentioned that although there are other high end barber shops using the UV light to disinfect, it is very difficult to be assured that the barber is actually using a real one or just a normal blue bulb. 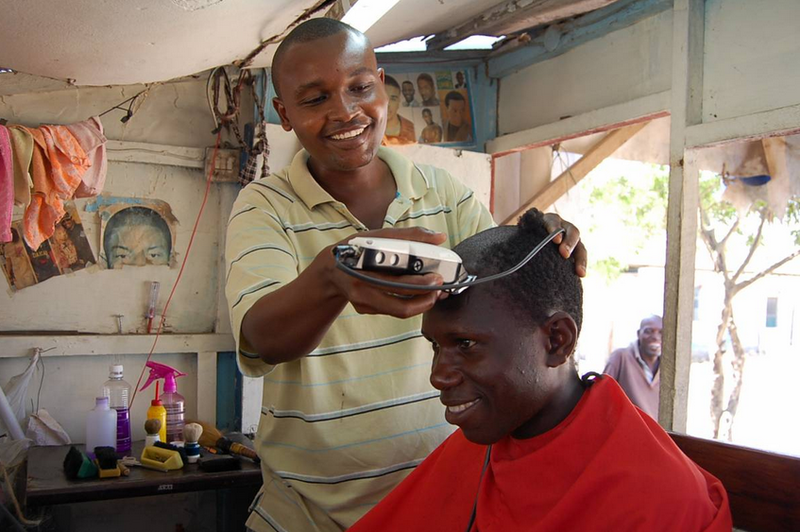 “Apart from skin infections like ringworms, barbers can transmit more serious infections like HIV and Herpes as their shaving equipment is used in close contact to the body and is likely to have body fluids like blood,” said Dr Kizito. He said that another way of making sure you are a little bit safe is not to let the barber use the same equipment he used on someone else immediately after. HIV virus is known to only survive and reproduce in a human cell, and is said to die and a period of time outside the body.